Just like I said last week I’ve decided to do life updates each week since my life can be so interesting haha. But this week even though it’s been fun it has been kind of stressful. This week started off kind of on a bad foot. I woke up in a complete panic and I’m not sure if it’s because my alarm startled me or the weighted blanket that I bought. Also that weighted blanket is actually pretty cool so I recommend it if you have trouble getting to sleep. But anyway, I also ended up just being in not so great a mood that entire day. I was just really sad and couldn’t shake off that feeling. Then once Tuesday came I felt kind of worse since I found out that I didn’t get the job that I actually really really wanted. So of course I started to cry and just thought that I was pretty much not good enough. Also I was so frustrated since it seems like I’ve been looking for a job forever and nothing has happened yet. It just causes my anxiety to skyrocket and my depression to hit really hard. Makes me very thankful for my family and friends who really helped me during that time and helped me to see that it’s just not my time yet but it’s coming. After I heard that and read a lot of those nice comments from people it put me back in to job search mode. I really started looking for jobs like crazy but was still kind of sad. From there though the week got a bit better since I got to hang out with friends and my boyfriend. That kept my mind off a lot of stuff and also gave me some time to think. What I thought about was what I really want to do with my YouTube channel and blog. There is just so much that I want to do but I don’t know where to start. But I also realized that I love the ideas and suggestions that y’all give me for videos. I want to continue to get better at both YouTube and blogging and I know that one day this will be my full time job. But that’s pretty much my life update. This week was filled with a lot of struggles and while I’m not completely through it it’s gotten easier. Let me know if y’all like these updates because I plan to get through them and talk about my experience with this job search and also the toll it has taken on my mental health. So I hope y’all enjoyed this and tomorrow there will definitely be a new video and I hope y’all enjoy it. Plus feel free to recommend anything y’all would like to see on my channel or my blog. Have a great day and stay nerdy! 2 Sunshine Award Nominations!!! Yay!!! So I was nominated for the sunshine award a few weeks ago so I’m very sorry for just now getting around to answering these questions. I was nominated for this award by Takuto’s Anime Cafe and also Lita Kino’s Anime Reviews. Thank you so much for nominating me and now I’m going to answer both sets of questions! 1. Do you prefer anime films or series? I prefer anime series since I can watch it episode by episode and be able to take breaks in between. 2. Why do you write on your blog? I write on my blog because I want to share my love and opinions about anime with others as well as be able to read theirs. Also its a great way to make friends. 3. Gun fights or sword showdowns? Sword showdowns definitely! 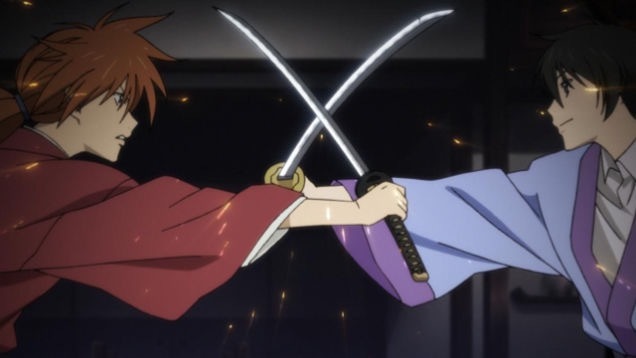 Rurouni Kenshin anyone haha. 4. What was the last anime character that you related deeply to, if any? 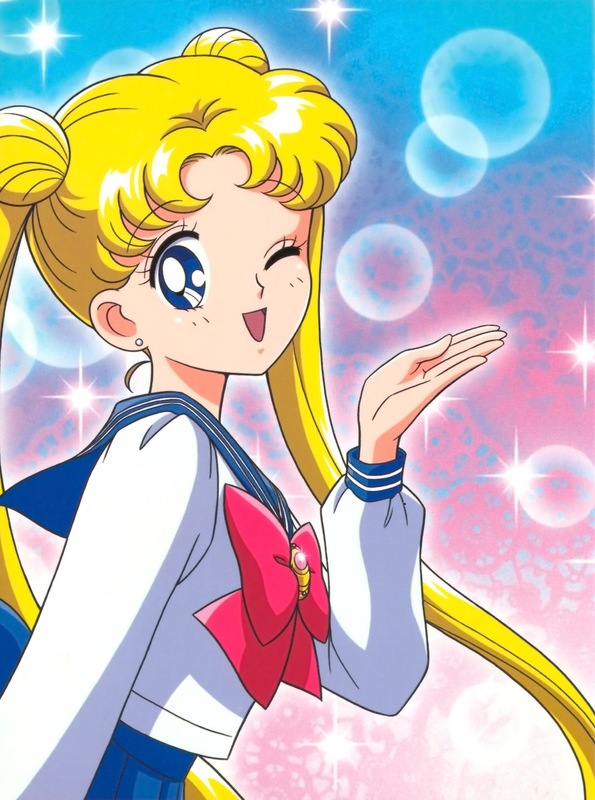 Hmmmm I guess I would have to say Usagi/Serena from Sailor Moon. Even though I’m not a superhero or princess in anyway I definitely do daydream as much as she does and I love all my friends. 5. What’s your opinion on this spring anime season – simulcasts? Well to be honest I didn’t watch any of them but let me know if any of them are any good. Haha good question but I guess I just take it one day at a time. I try not to stress if I don’t post and I’m trying my best to read others posts. 7. At this exact moment, what anime and episode are you on/watching, if any? 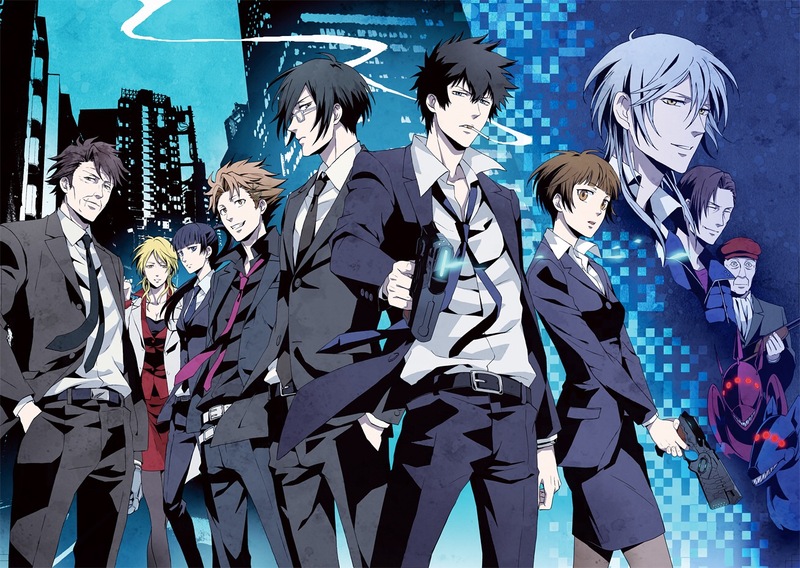 Currently I’m watching Psycho Pass and it is so good and interesting! I think blogging has provided for me a great outlet to express myself and also make friends. Well anime it was definitely Sailor Moon and non anime has to be Rugrats! 4. What is the most typical anime genre that you end up watching a lot? Definitely romance animes and comedies! See Takuto question 4 for my answer. 6. What ending of an anime would you change if you had the chance to. 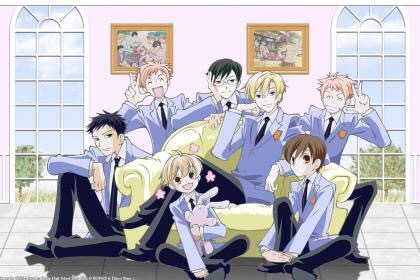 It would definitely have to be Ouran High School Host Club! This is just so that there could be more episodes. What I love to see in a blog is creativity and blog posts that make me think. Should you choose to accept these are the rules and below are the questions that you are to answer. 1. If you couldn’t write about anime on your blog what would you write about instead? 2. What anime took you the longest to finish? 5. Do you hide your blog from others? 6. What anime character do you look up to? 7. Has an anime ever scared you? Alright so thank you once again Takuto and Lita for nominating me. I really appreciate it!